Does the Pentagon Still Know How to Build Airplanes? turning down the opportunity to climb into the cockpit of the F-22, the world’s most expensive fighter jet. This grotesquely unpromising plan has already resulted in multitudes of problems — and 80 percent of the flight testing remains. A virtual flying piano, the F-35 lacks the F-16’s agility in the air-to-air mode and the F-15E’s range and payload in the bombing mode, and it can’t even begin to compare to the A-10 at low-altitude close air support for troops engaged in combat. Worse yet, it won’t be able to get into the air as often to perform any mission — or just as importantly, to train pilots — because its complexity prolongs maintenance and limits availability. 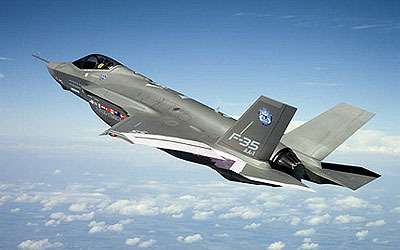 ….The bottom line: The F-35 is not the wonder its advocates claim. It is a gigantic performance disappointment, and in some respects a step backward. The problems, integral to the design, cannot be fixed without starting from a clean sheet of paper. It’s just a coincidence that I read these two stories within five minutes of each other, and neither of them says anything new, really. We’ve known this stuff for years. But it does make you wonder why we seem to have lost the ability to build a next generation fighter that works well at a reasonable cost. Have we reached some inherent plateau of complexity that we’re not currently able to surpass? Have the smartest engineers all decamped to Silicon Valley? Or what? These are hardly the first Pentagon programs to sink under their own weight, but they’re certainly among the longest-lasting and highest-profile failures ever. I wonder what’s really going on here.